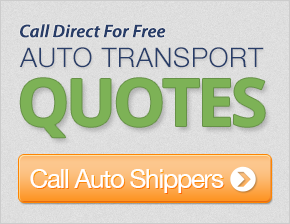 Get up to 7 free auto shipping quotes from the largest, most trusted Puerto Rico auto transport companies and save up to 50% on your car shipping rates at CarMoves.com. Car shipping companies in Puerto Rico compete for your business, which is how you can save hundreds, if not thousands of dollars on car transport services by shopping with us. Whether you're shipping a car to Puerto Rico, across the country, or even overseas, we can help you get the best price on your shipment - guaranteed! Read more about the following auto transport companies in Puerto Rico before getting a quote. Click on the name of the company to read a full review. Get a free auto transport quote today to find out how much it costs to ship a car to or from Puerto Rico! Puerto Rico is a small set of islands in the larger set of islands known as the Greater Antilles. Puerto Rico is also just west of the US and British Virgin Islands. Together, these islands make great vacation destinations for Americans who want the safety and reliability of staying at places governed by US law. 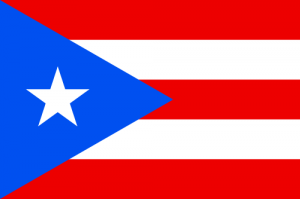 In fact, Puerto Ricans have voted recently to pursue becoming the 51st US state, which President Barack Obama supports. Though the island currently lacks active government representation currently, statehood would grant the island full representation in Congress. Puerto Rico's tropical climate and pristine beaches lend itself to the thriving local tourist industry. Tourists might also find interest in the centuries old architecture and history available for viewing, including the numerous Spanish forts, such as Castillo de San Cristóbal. The island's economy and GDP are quite healthy, though not quite as high in many areas as US states. For instance, unemployment rates, poverty levels, and median incomes are worse than any found in US states. However, Puerto Rico's economy ranks very favorably compared to other Caribbean nations, indicating the islands' generally healthy state. Thanks to higher sales taxes and other measures, Puerto Rico recovered fairly well from a budget crisis in 2006 that led to vast governmental layoffs, including the closure of over 150 schools. A vast majority of the population of Puerto Rico is located within the San Juan metropolitan area, whose suburbs extend outward from the port-side city for dozens of miles. In fact, San Juan is so densely populated that it is actually the 46th most populous city in the US, making it larger than Honolulu. San Juan is an integral part of the island's overall economy, and has a particularly large cargo shipping port with sixteen piers in total. Visitors wanting to view the remains of colonial Puerto Rico are advised to tour Old San Juan, an island off the shore of San Juan connected to the city by three bridges. Churches, vast walls, and cafes characterize this UNESCO World Heritage Site. CarMoves.com works with car shipping companies throughout the state of Puerto Rico. We can help you get the best prices on car transport services to the following cities in Puerto Rico: San Juan, Bayamón, Carolina, Ponce, Caguas, Guaynabo, Mayagüez, Trujillo Alto and many more. If you don't see your city listed, don't worry - we can get your vehicle shipped anywhere in Puerto Rico. Scroll to the quote section on this page to compare free auto shipping quotes from up to 7 Puerto Rico auto transport companies and save up to 50% on your move! View the Puerto Rico Department of Transportation website for more information.